You can make a difference. Join with the Coraopolis Community. Your donation gets us one step closer to our goal. Click below to donate now, or scroll down further to choose a gift in return for your generous donation to the station project. There's no better way to make an impact than to become an active advocate yourself. Tell your friends and family about the station project, and how they can help. Join now and make an impact! The Station Project is fueled by you. Your donation gets us one step closer to our goal. With a donation of $12 you will receive Coraopolis Train Station coffee mug as a gift for your contribution. Your donation gets us one step closer to our goal. With a donation of $25 you will receive a black OR gray long OR short sleeve t-shirt with the Coraopolis Train Station Project logo as a gift for your contribution. Your donation gets us one step closer to our goal. 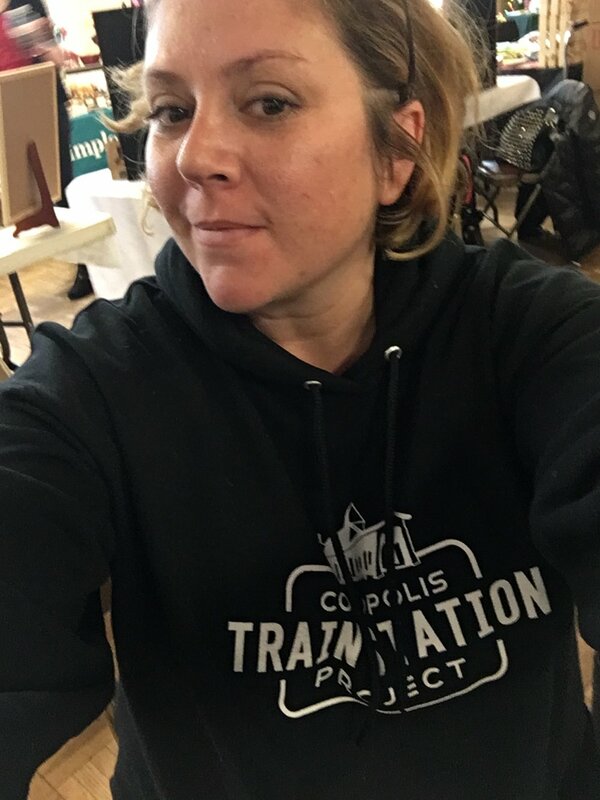 With a donation of $35, you will receive a black, long-sleeved, non-zippered hoodie with the Coraopolis Train Station Project Logo on it as our gift for your contribution. Your donation gets us one step closer to our goal. With a donation of $100, you will receive an original slate tile from the Coraopolis train station roof which features the Coraopolis Train Station Project Logo, as pictured in the photo to the right. Your donation gets us one step closer to our goal. 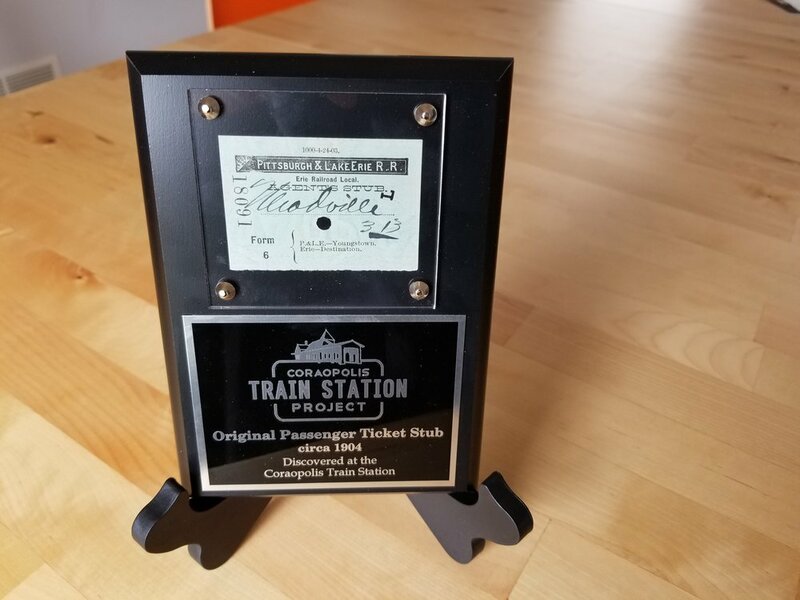 With a donation of $250, you will receive an original P&LE Railroad ticket stub, which was originally uncovered in the attic of the Coraopolis Train Station. The stub is framed and displayed as demonstrated on the left.